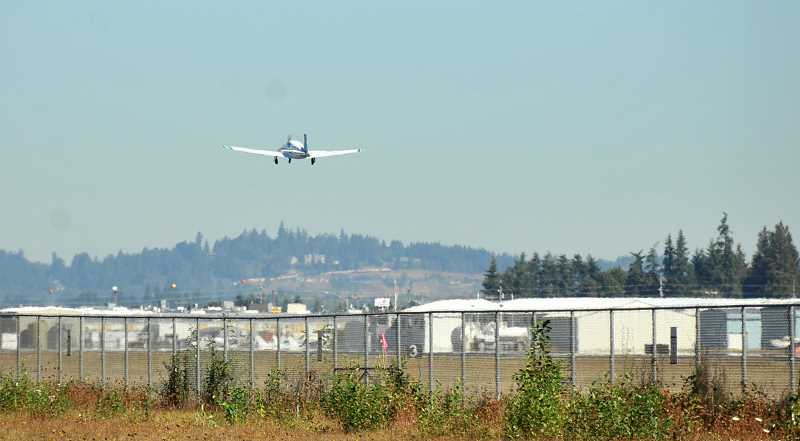 Though the City of Wilsonville's arguments against the approval of an application to extend the Aurora Airport runway might not have swayed legislators during a recent Oregon State Legislature Emergency Review Board Meeting Sept. 24, the Board shelved the decision and provided a new platform for the City to discuss its concerns. The Board, which considers federal grant applications, decided to push a decision of whether to approve an Oregon Department of Aviation application to attain $37 million in grant money from the federal government for the extension until a meeting in December. The Board also requested that Oregon Solutions, a Portland State University program that helps resolve disagreements between governmental leaders, mediate the dispute between proponents and opponents of the extension. "Oregon Solutions could set the table to get people talking to each other rather than about each other," Senator Betsy Johnson (D-Scappoose) said during the hearing. Wilsonville Public Affairs Director Mark Ottenad told the Spokesman that the City is satisfied with the request for Oregon Solutions to mediate the dispute, though he wasn't sure how the process would play out. 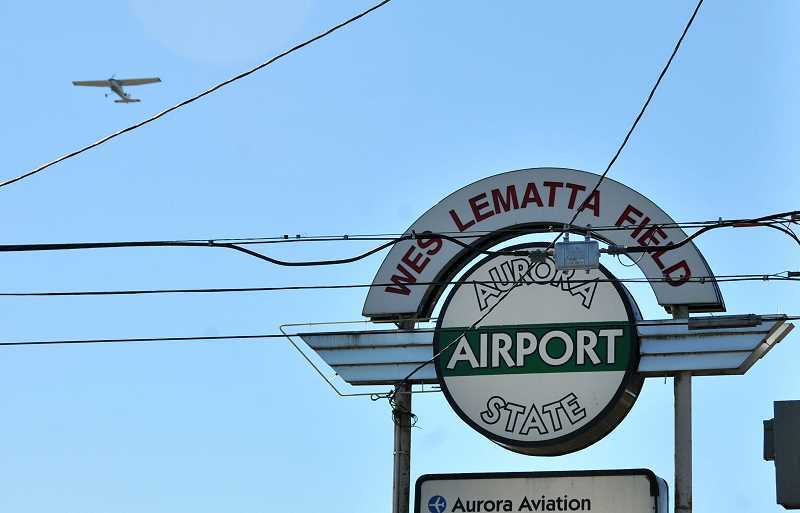 "The City's primary objective has been to have a more meaningful public process regarding potential expansion of the Aurora State Airport so the Emergency Board recommendation to refer to Oregon Solutions for a greater level of public engagement to discuss expansion of Aurora Airport options and alternatives is welcome," Ottenad said. "We're ready to participate on a good faith effort to discuss airport related issues and potential mitigation measures." The ODA requested funding for the extension, which would increase the length of the runway from approximately 5,000 to 6,000 feet, through a $1 billion Federal Department of Aviation grant program. If the Board greenlights the application in December, the Federal Aviation Administration will then decide whether to approve the application. Wilsonville officials have said it could exacerbate traffic issues in the region and harm the agricultural economy and environment, among other objections. They also believe the process to fund the extension hasn't had enough public input. They posited similar concerns when Rep. Rick Lewis (R-Silverton) put forth a bill, which did not pass, at last February's short legislative session to fund the extension. The ODA wrote in its proposal to the Review Board that a recent study identified more than 700 operations that were constrained because the runway is smaller than 5,901 feet, though it did not provide more detail about the operations or constraints. The Aurora Airport Improvement Association previously stated that the current runway forces the airport to reduce cargo and fuel in order to take off and land planes. Wilsonville Mayor Tim Knapp provided testimony during the hearing, arguing that that ODA should drop its proposal for the airport extension until a new intergovernmental agreement and Aurora Airport Master Plan are adopted and for Wilsonville and Clackamas County — which also doesn't support the extension — to be included in the process. The current master plan includes the extension. But while the master plan projects the extension to cost $3 million, the federal grant would be for $37 million. In its proposal, the ODA lists projected costs: $32 million for construction, $3 million for purchasing property and $2 million combined for design engineering and an environmental analysis. "The County and City have a vested interest in protecting the welfare of our residents and businesses. Issues of concern are focused on Oregon land use and public involvement laws, impacts to surface transportation facilities from continued development at the airport without mitigation, quality-of-life concerns due to overflights, and negative impacts to the vital French Prairie 'ag cluster' of farms and food processors," Knapp said in a written version of the testimony. However, among legislators at the hearing, the tenor toward the Aurora Airport extension was generally positive. "That runway needs to be extended and if there's an opportunity to receive federal money to do it, that would be a terrific thing," Johnson said. House Speaker Tina Kotek (D-Portland) found the fact that Oregon would not have to match federal funding for the project to be enticing. Plus, since the ODA wasn't planning to send grant applications for any of the other state-owned airports, the extension wouldn't divert federal funding away from other airports. "A billion dollars from the country is not a lot of money," Kotek said. "And I don't want to see Oregon not get this money. I want to make sure we get money from the federal government at the end of the day." Ottenad brought up negative impacts to the Salem Municipal Airport and posited that the state should establish a more organized and collaborative process for considering airport-related applications. However, though he requested input in discussions, Salem Mayor Chuck Bennett said in the hearing that development at the Aurora Airport would not necessarily hinder the Salem Airport. "A short distance (away) there's a 6,000-foot runway, urban services and (the Salem Airport) would like more business and has struggled for a number of years, seeking to have more business," Ottenad said. "Is it rational to put $37 million into one airport when there's an existing airport nearby?" Knapp disagrees with the ODA's prioritization of development at the Aurora Airport over other airports. Knapp said: "Oregon has 97 public-use airports, of which 56 receive federal FAA funds and 28 are state-owned; how do these airports relate to each other? What is the priority for capital improvements among airports? Why should the Aurora State Airport cut to the front of the line before all other airports in the state for federal funding?"